Two more roads in Gurgaon connecting Dwarka expressway with Delhi could become operational this year, with Huda looking to expedite these projects in a bid to decongest the already overburdened NH-8. 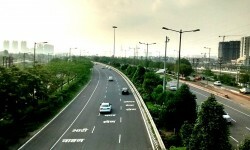 Until the Delhi portion of Dwarka expressway gets completed, and it may take years, the urban development body has decided to connect Bajghera in Gurgaon to Bijwasan in Delhi. It has chalked out another alternative route from sectors 106-109 to Najafgarh Road, which further boosts connectivity to Dwarka. State-run Bank of India is fresh to join the league of banks slashing interest rate. 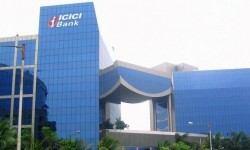 The bank has reduced its interest rates on retail loans, including home and vehicle loans, with effect from today. The bank earlier reduced its minimum lending rates or marginal cost of funds based lending rates (MCLR) by up to 90 basis points, effective January 7, it said in a release here. The rate on home loans has been lowered to 8.65 per cent for women borrowers, while for others the rate has been set at 8.70 per cent. The Supreme Court gave builder Supertech an extension till March 20 to deposit Rs 10 crore with the court's registry for refunding home buyers of its twin-tower project in Noida. In a big setback to Supertech, the National Building Construction Company (NBCC) in its report submitted to Supreme Court on November 8 last year said the construction of the twin towers — Apex and Ceyane — in its Emerald Court project in Noida were in violation of Noida Building Regulation (NBR), 2010. The Trump organisation is going to discontinue "exploratory" talks over projects in Pune. Real estate developer Panchshil Realty said the plan for the second project with Trump Organization in Pune had been dropped long back. “The environment in Pune is not conducive for sale of luxury projects. 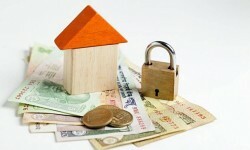 Nobody buys a Rs 20 crore flat here,” said Atul Chordia, chairman, Panchshil Realty.